Don't Let the Radio Scare You, Fellow Scribes! Don’t let radio interviews freak you out, writers! These ten tips for giving interviews contain everything I wish I knew before I made a my guest appearances on the Kim Iverson show on Z99.5. “I’m one of those people that believes you should start writing before you think you’re ready,” said Joseph Ellis, author of Founding Brothers: The Revolutionary Generation. And I’m one of those people who believes writers give radio interviews before they think they’re ready! I turned down a BBC radio interview several months ago and still regret it. If I’d known then what I know now, I probably would have accepted that opportunity. I learned the most about radio interviews from doing the Kim Iverson show. It’s a “welcome oasis of relationship advice, celebrities, self-help experts, psychics, dream interpreters, fashionistas, and a peek into somebody else’s bedroom.” Kim is full of energy and lively chatter, and her radio producer Ron Freshour is organized and dedicated. If you’re asked for a radio interview by a radio talk show host, you’ll represent yourself and your books better if you keep a few things in mind. When you’re scheduled for a radio interview, ask for a list of questions before show time. It takes the pressure off to prepare in advance – but be aware that radio interviews can go off topic. That is, the interviewer may ask questions not on the list, which may feel awkward but can make your interview more authentic and interesting. I get all excited and nervous about doing radio interviews, especially if it’s about a topic I haven’t researched fully or recently. Certain topics are a piece of cake – such as making a living as a freelance writer or promoting your books. Other topics are less familiar, which leads to pre-interview anxiety. To stay calm, I run or wrestle with my cat. When you’re scheduled for a radio interview, take time out to center yourself and stay calm. Cell phones aren’t as reliable and can sound more hollow than landlines. If this is your first radio interview as a writer, make sure your call won’t be interrupted or cut off. “Sound as enthusiastic as you can!” writes Freshour in his “How to be a Great Radio Guest” tip sheet. “Try to be an exaggerated version of yourself. Because people can’t see you, your extra excitement makes up for the lack of visual. Believe us, you end up sounding totally normal.” If you’re passionate about your books or writing, it should be easy to get enthusiastic. A surefire way to get nervous is to picture hundreds, thousands, or even millions of people listen to your talk radio interview. One of the best tips for radio interviews for writers is to connect with your interviewer as a person and pretend you’re having a conversion just with him or her. As a writer, you may be familiar with terms such as “deus ex machina”, “research shorts”, or “simultaneous submissions.” You may know what you’re talking about, but the listeners may not…and they’ll stop listening. Have you even been surprised how you sound on a telephone answering machine or voice mail? Join the club. We all sound different recorded than we think we do in real life. Before your interview, figure out how you can tape the show. Afterwards, listen and critique your performance: were you enthusiastic enough? Clear enough? Focused enough? Don’t beat yourself up; instead, make notes for your next interview, for the next opportunity you have to promote your books. I’ve had a couple of awkward moments on the radio, and really didn’t want to go back on as a guest. But, I’m learning that best way to learn to be a great radio guest is to take any opportunity you can to practice. That means making mistakes and perhaps even embarrassing yourself live on the radio – but take comfort in the fact that you’re not alone! Almost everyone has make mistakes as a radio guest, and all of us have lived to tell the tale. Relax and enjoy yourself; the more relaxed and happy you are, the more listeners will enjoy your interview. Plus, the radio host and producer are more likely to ask you to return if you enjoy yourself during the interview. To be a great radio guest, have a good time with your host. If you’re promoting a book, you might find 1001 Ways to Market Your Books for Authors and Publishers helpful. Just to note that many broadcasters – such as the BBC – would always refuse to share questions in advance. I’m glad you found these tips for doing a radio interview helpful, Mike! Yes, one tip for is to pretend you’re talking just to the host…but I find it more effective to pretend I’m talking to a friend or relative who really likes me, but doesn’t know about the thing that I’m discussing on the radio. I’ve also found that the biggest problem to doing radio interviews is not knowing what I’m talking about. If you’re comfortable with your topic, you’ll breeze through the radio interview! 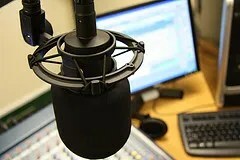 Thanks for these tips I am practicing and preparing for radio interviews to sell my book. I think the best pieces of advice are prepare, prepare, prepare and keep thinking to yourself that you are talking to just the host and not millions of people and of course have fun…I mean lets face it how cool is to get on the radio! Let me first say “THANK YOU”! As the host of an internet radio show, I have found that many guests would benefit from your tips. I just did a 4 minute radio spot on a weekend morning show for CJOB, based out of Winnipeg Manitoba. The announcer – Laurie Lancaster – wanted to talk about my “Unusual Addictions” article, which I wrote for MSN Health. Aaack!!! I did okay, I think….I feel like I talked in circles, and stumbled alot, and wasn’t prepared…but that’s how people communicate, isn’t it? I’d do it again in a heartbeat — I need the practice. Anyone out there have any comments or suggestions about radio shows for writers? If you’re on radio all the time, feel free to share some tips with us…..